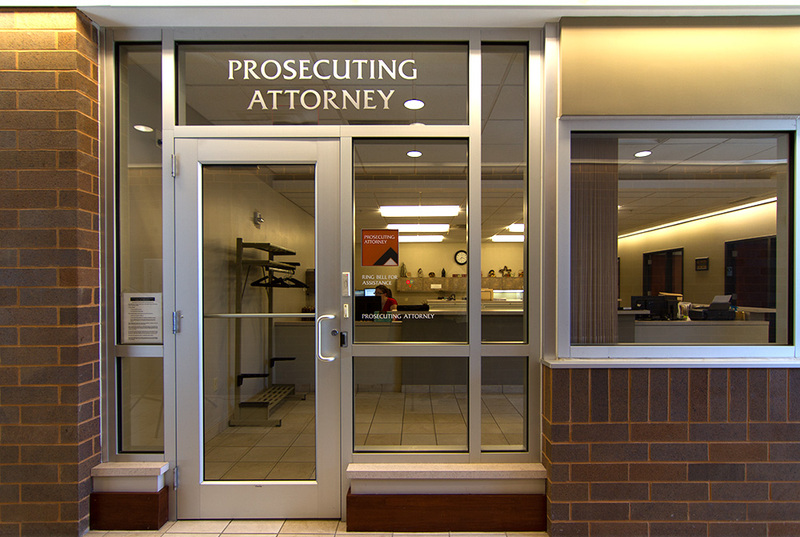 With the exception of minor misdemeanor citations and traffic citations directly issued to defendants by law enforcement officers, the Misdemeanor Division prosecutors make charging decisions on all other criminal matters that are investigated and submitted by law enforcement for the consideration of charges. Once a charging decision has been made, a criminal complaint is filed by the Misdemeanor Division. If a matter is contested, the prosecutor assigned to the case will begin to prepare the case for trial. This can include meeting with victims and witnesses, reviewing evidence, and viewing locations where offences are alleged to have occurred. With the exception of minor misdemeanor offenses, a criminal defendant can choose to have their case heard by a judge or by a jury. Minor misdemeanor offenses do not carry a potential penalty of time in jail and, therefore, a defendant does not have the right to a jury trial. The Misdemeanor Division prosecutes cases whether tried by judge or by jury. Another large responsibility of the Misdemeanor Division prosecutors includes giving and offering advice to law enforcement officers. This can include advice on criminal offenses, searches, search warrants, sufficiency of evidence, investigations, interviews, and procedure. The Misdemeanor Division also represents the State of Ohio and the various Wayne County municipalities in prosecuting traffic offenses. These include, but are not limited to, all offenses charged under Title 45 of the Ohio Revised Code, as well as the codified ordinances of the cities and villages within the Wayne County. Operating Motor Vehicle under the Influence (OVI) and Driving under Suspension (DUS) prosecutions are common. Traffic cases begin with the issuance of a traffic citation. Although most traffic citations are issued by law enforcement officers, there are circumstances in which the Misdemeanor Division prosecutors will issue citations themselves. Once a traffic citation is filed with the court, the Misdemeanor Division prosecutors will review the citations for accuracy and, in matters that are contested, prepare the cases for trial as they do with criminal cases. Like criminal cases, traffic defendants have the right to choose to have their cases tried in front of a judge or by a jury, with the exception of minor misdemeanors for which the right to a jury is not available because minor misdemeanors do not carry time in jail as a potential sentence. The Misdemeanor Division prosecutes cases whether tried by judge or by jury.